A couple of years ago I read Desperate Characters – a 1970 novel by the American writer Paula Fox – in which a cat bite sparks a crisis in the lives of a privileged middle-class couple, setting in motion a series of events which threatens to undermine their seemingly harmonious existence. There is a crisis of sorts too in The Widow’s Children, Fox’s later novel of family dysfunction, first published in 1976. This is an acutely observed story of longstanding slights and prejudices, of things left unsaid or buried beneath the social niceties of family gatherings, of trying to live up to the burden of expectations – both those we demand of ourselves and those imposed on us by others. It is an excellent book, one that deserves to be much better-known. Fox’s novel could be likened to a play, a deliberately claustrophobic chamber piece that plays out in an extended sequence of scenes, each one denoted by a new chapter. The cast is small and finely sketched, allowing us to observe each character in some detail. Central to the story is Laura Clapper (née Maldonada), a fifty-five-year old prima donna, now married to her second husband, a rather foolish, hard-drinking man by the name of Desmond. Laura is impulsive, outspoken and manipulative, a woman with virtually no self-awareness and very little understanding of her impact on those around her. As Peter Rice, her longstanding editor friend observes at one point, ‘she actually can’t judge her own behaviour […]; she explodes, then wonders at the flying glass’. For Desmond, life with Laura is exhausting, for it is he who has to pick up the pieces when she blows up. Completing the core cast are Laura’s brother, Carlos, a faded music critic, openly gay and playing the field; Clara, her timid, self-effacing daughter from her first marriage; and Eugenio, Laura’s other brother, a rather distracted individual who appears in one of the later scenes. Also central to the story, although we never meet her in person, is Alma Maldonada, mother of Laura, Carlos and Eugenio, an elderly widow who resides in a nursing home. As the novel opens, Clara, Carlos and Peter Rice are preparing to join Laura and Desmond for drinks in their hotel room to say goodbye to the couple before they embark on an extended holiday to Africa. Before the guests arrive, we learn that earlier in the afternoon Laura received a phone call from the care home informing her that Alma had just died; but instead of telling Desmond the news, she keeps the information firmly to herself, showing no signs of sorrow or distress in the process. If anything, the opposite could be said to be true – Laura seems to relish in the knowledge of this secret fact, something that she alone is privy to, possibly to reveal at a vital moment during the evening ahead. And so this bizarre evening begins during which the members of the Maldonada clan dance around one another in a strained sequence of manoeuvres during which various tensions become apparent and old grievances are revealed. (As of yet, there has been no mention of Alma’s death.) As Clara puts it here, the interactions between individuals are characterised by a marked gulf between outward behaviours and inner feelings, all in the name of keeping the charade of ‘family’ going. But to what end one might ask, especially with someone like Laura orchestrating the show. As the evening plays out, we learn more about the backstory of each character, their individual flaws and imperfections, their missed chances and lost opportunities. We discover that Clara was abandoned by Laura as a young baby, only to be brought up by the impoverished Alma in her makeshift home in Brooklyn, a fact that has coloured Clara’s relationship with her formidable mother ever since. I love this passage describing Clara’s arrival at the drinks gathering, a moment that conveys so much about her perceived inferiority to Laura, and in so few words. Clara also experiences a sense of unease about the state of her relationship with Alma, reluctant as she is to visit her at the care home even though she feels obliged to do so. Perhaps as a consequence of the nature of her fractured family, Clara seeks affection elsewhere. There is a man in her life; but as he married with children, the chances of her achieving a fulfilling relationship with him seem cruelly out of reach. Carlos too feels the sting of his sister’s gaze; his rather sad and empty life is revealed in this insightful reflection, one of many in the book. Perhaps most notably, we also hear more about Alma’s story, how she emigrated from Spain to Cuba at the age of sixteen to marry a much older man she had never met before; how she neglected the Maldonada children when they were young; and how, following the death of her husband, she fled from Cuba to the USA where the family struggled to rebuild their lives. As a consequence, there is a noticeable sense of displacement running through this novel, an undercurrent of shifting circumstances and identities, which adds to the fault lines that have emerged over time. I’m not going to reveal if and how the news of Alma’s death comes out; that would spoil the story, I think. Nevertheless, when the party move to a nearby restaurant for dinner, it becomes clear that Laura may have been more affected by the day’s events than had appeared at first sight. Interestingly, in the second half of the novel, the focus shifts away from Laura towards the male characters in the story, particularly Peter Rice – the ‘half-scant life’ he has settled for is touchingly revealed. All in all, The Widow’s Children is a very accomplished novel – razor sharp and precise in style, brittle and unflinching in its sensibilities. The writing is superb, packed full of insightful observations on the inner truths of our lives and the fronts we put up to conform to expected social conventions. There are frequent references to predatory birds and animals throughout the book – the core symbolism is an obvious one. I’ll finish with a final quote that caught my eye, this one from the ‘Restaurant’ chapter of the book. 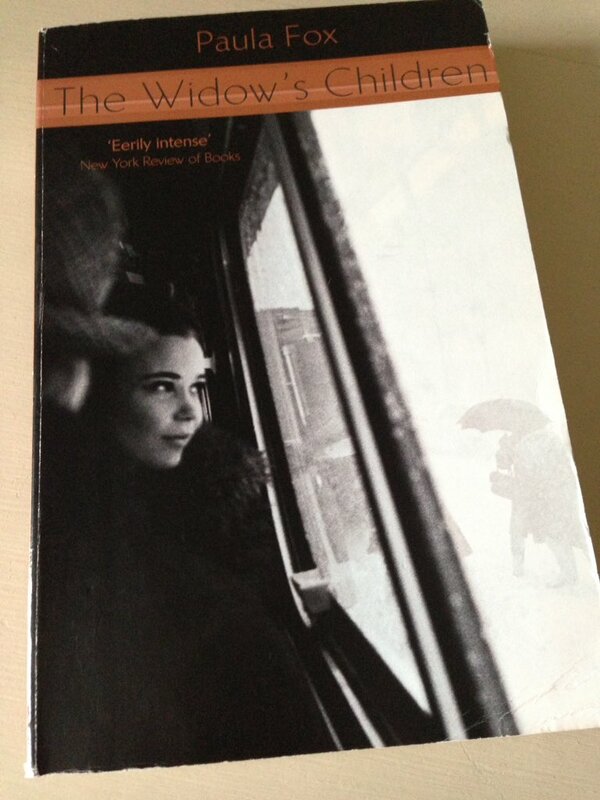 The Widow’s Children is published by Flamingo; personal copy. This entry was posted in Book Reviews, Fox Paula and tagged #ReadWomen, Book Review, Classics Club, Fiction, Flamingo, Hotels, Paula Fox, US on September 19, 2017 by JacquiWine. 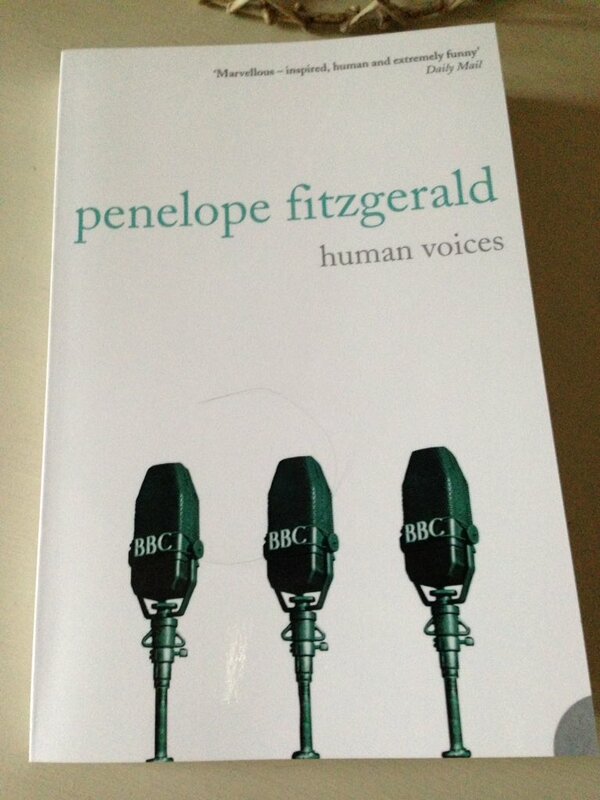 First published in 1980, Human Voices was Penelope Fitzgerald’s fourth novel, a story set largely within the confines of the BBC during the London Blitz. Like both its predecessors (The Bookshop and Offshore), Human Voices was inspired by experiences from Fitzgerald’s own life as she worked for the Corporation while WWII was underway. Over the course of this novel, Fitzgerald paints a vivid picture of life at the BBC, complete with all its foibles and idiosyncrasies. She is particularly adept at capturing the atmosphere within the walls of Broadcasting House, highlighting the dynamics between various employees and departments along the way. In its infinite wisdom, The BBC has decided that ‘truth is more important than consolation’, especially in the long run; and so its role, as far as possible, must be to inform the nation about important developments in the world, irrespective of the views of other authorities. By the spring of 1940, the organisation is beginning to feel the effects of the war, the mood turning to one of urgency and mild anxiety. There is a fair amount of making do and getting on with the job as best one can. Human Voices contains very little in the way of conventional plot. Instead, Fitzgerald focuses on her characters, capturing their hopes and anxieties as they go about their day-to-day activities in the production of radio programmes for the BBC. The two central characters are Sam Brooks, the Director of Recorded Programmes, and Jeff Haggard, the Director of Programme Planning. Both are referred to by their job title initials, RPD and DPP respectively. RPD (Sam) is a rather needy, self-indulgent chap, keen to surround himself with attentive young girls as far as humanly possible – a trait that has given rise to an alternative name for his department as ‘the Seraglio’. In spite of his vast technical knowledge of sound recordings and apparent competence in his role, RPD frequently feels the need to confide his personal troubles in one of the female RPAs (Recorded Programmes Assistants) from his division – someone like Vi (the most experienced of the group) or the new girl, Lise. RPD’s wife has effectively left him, possibly because he never seems to spend much time at home, hence his requirement for a little moral support at work. By contrast, PPD (Jeff) is more level-headed and relatively self-sufficient in his role, so much so that he is often called on to help RPD whenever some minor crisis comes to light. Here’s a brief extract from a telephone conversation between the two Directors. DPP had been hearing it for more than ten years. But, to do his friend justice, it was never the same twice running. The world seemed new created every day for Sam Brooks, who felt no resentment and, indeed, very little recollection of what he had suffered the day before. What follows is an extended dialogue which highlights the internal politics at play within the organisation as RPD is frequently sidelined or excluded from discussions concerning his own department due to his tendency to take things too personally. Much of the novel’s action (if one can call it that) revolves around the activities involved in producing the radio programmes: recording sounds, finding and sequencing recordings, managing the schedules, and overseeing the broadcasts themselves – sometimes pulling the plug if things get too hairy. Alongside the dry humour, there are melancholy moments too. I love this passage about one of the male RPAs, Teddy, at the end of a conversation he has been having with fellow RPA, Vi – she is expecting her fella to arrive home on leave fairly soon. The novel also touches on the personal lives of several of the main characters: RPD and his myriad of troubles; Lise and her search for boyfriend Frédé, a soldier in the French army; Vi and her efforts to support Lise in various ways; and, perhaps most notably of all, Annie (the second new girl) and her developing feelings for RPD. We even gain an insight into DPP’s inner life. There is a sense that some of these people – certainly RPD, Vi, Annie and Teddy – find a form of solace in their activities at the BBC as a means of distraction from the various stresses and strains of war. Fitzgerald is particularly good at capturing the mood in London during the Blitz: people seeking shelter in the underground at night; snapshots of streets following the bombing raids. It’s all here. Human Voices is another excellent novel from Penelope Fitzgerald, strong on characterisation, attention to detail and the conveyance of mood. It is perhaps closer in style to Offshore than to The Bookshop, but there are some similarities with both. By focusing on the personal experiences and feelings of her characters, Fitzgerald finds a means of putting the broader developments of the war into a more human context. I’ll finish with a final quote, one that gets to the heart of the matter at the BBC. Human Voices is published by Flamingo/HarperCollins; personal copy. This entry was posted in Book Reviews, Fitzgerald Penelope and tagged #ReadWomen, Book Review, Classics Club, Fiction, Flamingo, HarperCollins, Penelope Fitzgerald, UK on March 7, 2017 by JacquiWine. I can’t quite recall how I first heard of American writer Paula Fox, possibly via a conversation on Twitter or through the blogosphere, but either way she sounded interesting. 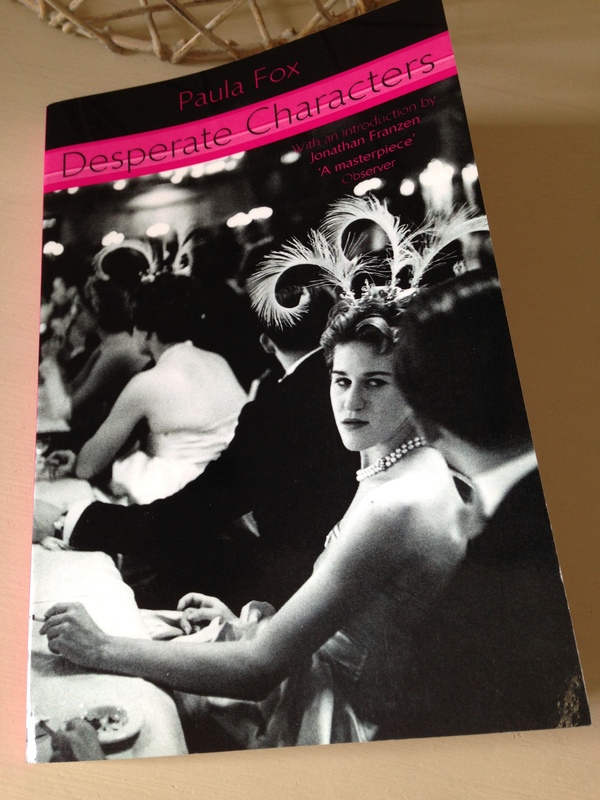 First published in 1970, Desperate Characters was her second novel. After being out of print for several years, it was reissued in 1999 and is now regarded by some as a potential classic of 20th-century American literature. Set in New York in the late 1960s, this short novel follows a weekend in the lives of Sophie and Otto Bentwood, a childless upper middle-class couple living in Brooklyn. The Bentwoods are privileged; they have plenty of money, a Mercedes-Benz sedan, and a second home on Long Island. In many ways, they exist in a world cocooned from poverty, social deprivation and disorder. That’s a great passage. It contains so many different elements: the hints about Sophie’s character; the danger lurking close to home; the sense of violation. At first, Sophie does little to attend to the bite. She is reluctant to seek medical treatment, passing the incident off as ‘nothing’, even though deep inside she feels vitally wounded in some way. Having fed the cat on at least one previous occasion, she feels bemused and somewhat betrayed by its attack. As time passes fear begins to set in: her hand swells up; signs of infection start to appear; someone mentions the possibility of rabies. All this only serves to unnerve Sophie; even everyday objects start to appear somewhat unsettling. One of the most striking things about this novel is the way in which Fox uses the cat bite as a catalyst, a starting point for further exploration. In effect, the incident is the first of a number of disturbing events that threaten to destabilise the Bentwoods’ seemingly harmonious existence over the course of the weekend. For instance, Sophie answers the telephone to a heavy breather; a stone is thrown through the window of a friend’s house; their holiday home is vandalised. One by one the episodes pile up. In one memorable scene, a visibly distressed black man knocks at the Bentwoods’ door, pleads to use their phone and ends up borrowing money from them. In many respects, it feels like an invasion of their bourgeois world. Fox uses contrasts to good effect throughout the story. There is a striking difference between the order of the Bentwoods’ house and the chaos Otto and Sophie encounter when they call upon Mr Haynes, the somewhat unreliable caretaker of their Long Island retreat. Here’s a brief excerpt from the description of the Haynes’ house, a property that looks as if it has been ‘assembled by a centrifuge’. For the interested, here’s a link a profile of Paula Fox published in The Guardian. Desperate Characters is published by Flamingo, an imprint of HarperCollins. Source: personal copy. 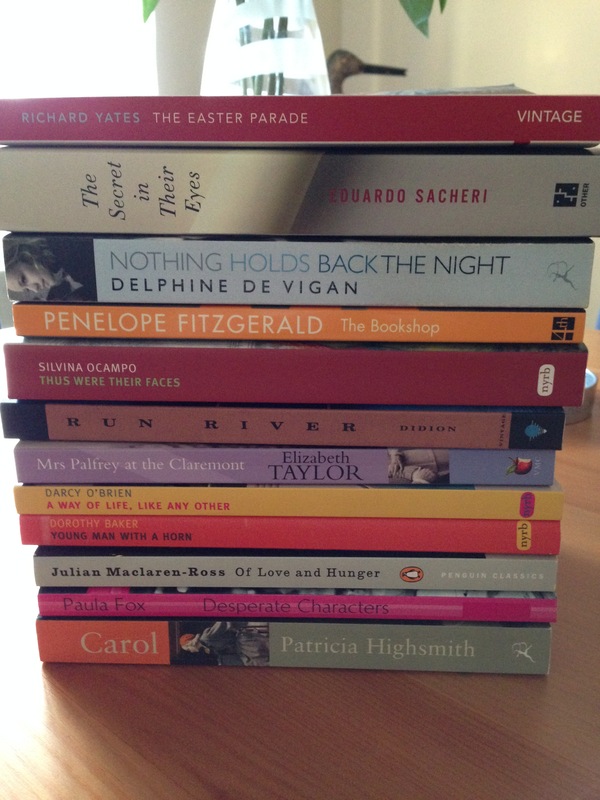 Book 11/20, #TBR20 round 2. This entry was posted in Book Reviews, Fox Paula and tagged #ReadWomen, #TBR20, Book Review, Fiction, Flamingo, HarperCollins, Paula Fox, US on September 23, 2015 by JacquiWine.